Feel bored, want to pass some time within class break or tea break, or even do something in the long boring meeting… Why dont play some games, in your browser! I like playing games in the browser simply because, they dont need to be installed into hard drive, I can play it in any OS Windows,Mac,Linux or anything with a decent browser) you just need a browser and you can play it anywhere anytime. I would like to list down 5 of my favourite sites that let you play games in your browser. This is an obvious one. 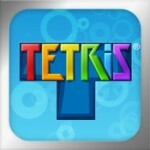 I think everyone should know about Facebook Games, and how addictive or annoying that is. You can find tons of games here and games of different genres. Most of them are free to play, and offer in app payment to boost your gameplay. The fun of playing facebook games are you get to compete with your friends, and sometimes the more friends you have playing the same game, you will have more advantage in the game! 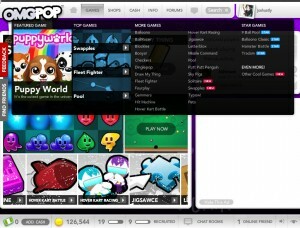 OMGPOP is a free online multiplayer game site that specializes in social games. 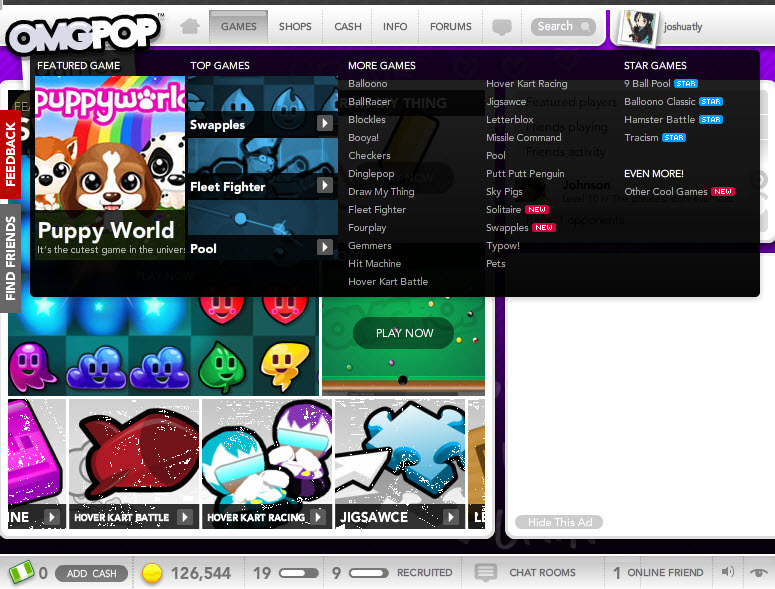 There are more than 20 fun games that you can play with either your friends or strangers online. There are chat in the game, which is a good way to meet and make new friends on the site. 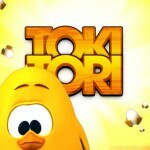 The games are really cute, fun and addictive. I’ve find myself enjoy trolling in Draw My Thing, having exciting mathces of the Bomberman clone, Balloono, challenging myself in FourPlay, and many other fun games. 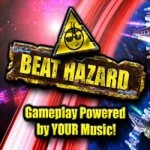 Most of the games are free, some of them require you to have a Star Status to play. There are power ups that can be purchased to give you a boost, but so far I find myself comfortable with all the games without paying a single cent to play those games. The site is ad supported, I found the ads are more intrusive than the other facebook games. But nevermind, I enjoy every moment on the site, I dont find the ad on the site is causing me to leave the site. Give it a try, if your company network blocked facebook, there is a slight chance they didnt block this site. But dont blame me when you get caught. Haha. I need one more recruite to to get a lifetime star status. If you are so kind, please join using any of the OMGPOP link on this post, and level up to level 10, then i’ll get myself a lifetime Star status. If you dont want to sign up using the referal link, click this link instead (no referal link). 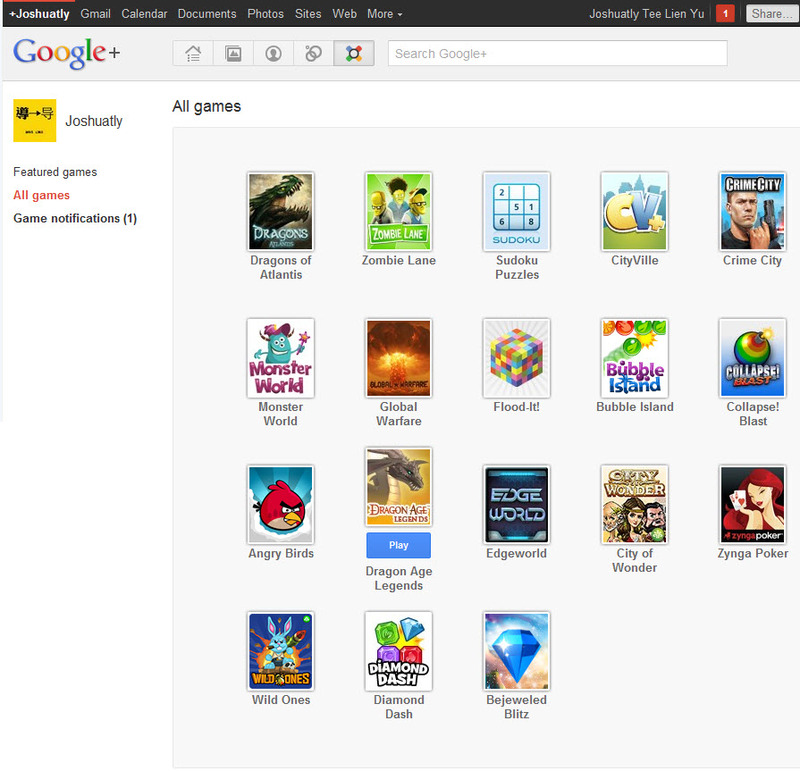 Google+ is another social network, with a great game directory. Although they dont have much games on the site yet, but they are taking a “quality over quantity” approach with its games. 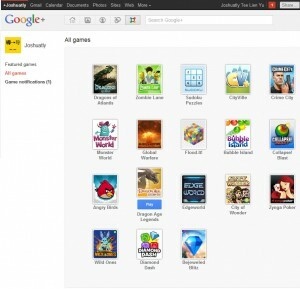 If you think Facebook Games are too crowded and want a fresh place to start, Google+ is for you! 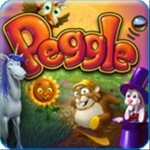 Kongregate is an online games hosting website where you can find all kinds of flash games. 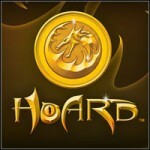 There are all kinds of games you can play, compare and submit high scores and even earn achievement badges! There are lots of gems in Kongregate waiting for you to discover, if you want a place to start, just go to their Top Rated page and try things out! I’m not sure if the younger generation know newgrounds that much, it used to be really popular for its flash animations and games. 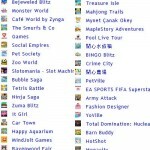 The site had been operating for more than 16 years, therefore the flash games collection is really huge. There are lots of really good classic and unique games hosted on newgrounds. If you are willing to do some digging, there are tons of good stuff and I’m sure there will be something for everyone. 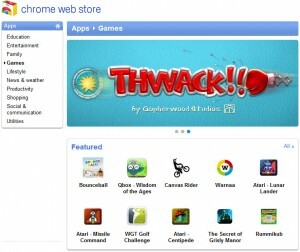 If you are using Google Chrome as your browser, go to their Chrome Web Store Games section, you will be impressed how many games you can find there! Install them as a plugin, and you will find them in your New Tab page. Do you play games on browser? Or what is your favorite game on Facebook or any sites i mentioned above? Yesterday night I was invited by Microsoft Malaysia to attend an event where they want to talk about Hotmail, their title is: Fall in love with Hotmail again — it’s easy O’RLY? I had been a gmail “power user” for a while, and i dont think they will ever convinced me to switch back to hotmail. But after the event, they changed my view completely! Well, its time to give Hotmail a second chance, right!? I think many of you still remember the old days of Hotmail. 2MB mailbox storage, 1MB attachment limit, and most of the mail i got are spam, and if i dont clean them up once a few weeks, my inbox will be full. Well, those days had gone. The new era of Hotmail has come. This month, is Hotmail’s 15th anniversary, and Hotmail is rolling out new features to users now, more new amazing innovative features to all of the users. Smart Newsletter Filtering which allows users to highlight and delete newsletters with a single click or unsubscribe completely. 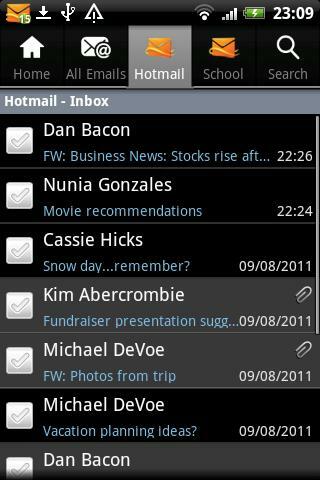 Categories and advanced folder management that allow users to choose to categorize their messages in the inbox as opposed to having to file them in separate folders. Scheduled Cleanup allows you to automatically get rid of emails of a certain age, sweeping away old newsletters and out-of-date offers. You can also now keep only the latest message from a sender. Flags done right that position your priority messages right at the top of your inbox. No more having to mark messages as unread or email them back to yourself to keep them top of mind. Instant Actions are buttons that appear when your mouse hovers over a message allowing you to delete, flag, sweep, etc. messages with one click. Users can also customize their UI by adding and removing buttons based on the tasks they use most. From that I can see, Hotmail is not only fighting with spam,where they now did a good job, your inbox is no longer filled with spam mail by using their SmartScreen technology, to now they are fighting GreyMail! You may wonder what is greymail, from what i understand is the email that you’ve subscribed to, like newsletter or groupon deal emails (where i get like 10 of them each day) and most likely you won’t like to read them all. Sweep is a sweet function that solve that problem. 2. Hotmail is 10-20x faster than last year! Thats significant! 3. Keyboard shortcuts! Oh Yeah, you can use your outlook, gmail or yahoo mail keyboard shortcut in Hotmail. They’ll work! 4. Single Use Code is handy where hotmail send a single use code to your mobile phone and you will enter that code instead of a password. Not really secure in my opinion (i still prefer 2 factor authentication like GMail has), but its worth a try! 5. Virtually Unlimited Storage, its no longer 2mb inbox, but still, i think they store most of your attachments in skydrive. Attachment limit is 100mb, but if you store them in SkyDrive, it doesnt count against that. 6. Hotmail makes beautiful thumbnail when you are sending a whole album of photos.